Before this weekend, grilled fish is one kind of dine-out menu, because I rarely made one at home. But today I have proven that making grilled fish is easy, with very simple recipe of basic marinade sauce, and I bet your family will LOVE it. 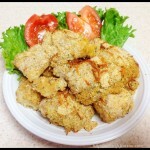 I use whole red tilapia fish, but you can use fish of your choice. Make a few slits on the fish body, then rub the lime juice all over the fish. Now, you have a choice to make a dark grilled fish or yellow grilled fish. For yellow grilled fish (as pictured), add candlenuts and turmeric powder. For dark grilled fish, use dark sweet soy sauce instead (I use kecap bango brand, a product from Indonesia). 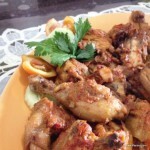 – Grind all ingredients of marinade together to make a paste (except the soy sauce if using), then saute over medium fire. 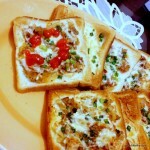 – Add the soy sauce (if using) after the mixture becomes fragrant. Lower the fire, and 3 tbs of water, mix well, and let the mixture thickens up. – Now, the marinating sauce is ready. Your can use it to marinate the fish, and let it set for 30-60 minutes. – But if you’re like me who wants to get things done quickly, don’t turn off your fire. Set it low, and add the fish into the sautéing pan. Use a spoon to spread the sauce evenly on the fish, cover up for about 10 minutes. Flip the fish carefully, and again spread the remaining sauce over the fish. Keep it simmered for about 10 minutes. – Now, your grilled fish is ready to be grilled. I use a convection oven (grill / broil mode, temperature set to 200 degree C). – Grill each side of the fish for about 10-15 minutes (depends on your liking). Tadaa.., your fish is ready to serve. Place the grilled fish on a serving plattee, garnish with lettuce and tomatoes. So, how was the feedback from our testers)? Well, I would say one of the most delicious grilled fish I ever tasted. 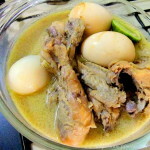 It has very rich flavor that makes you eat to eat more and more. We ended up finishing one and a half of fish during breakfast, and too adults were holding back not too eat too much. *grin* My son complained why I didn’t grill fish so each person can half one fish to finish, haha! So, just before lunch time, I grilled another fish, this time a 750-gram red snapper, and guess what, duo father and son finish one side of it in no time. Do you like grilled fish? Whole fish or fillet? 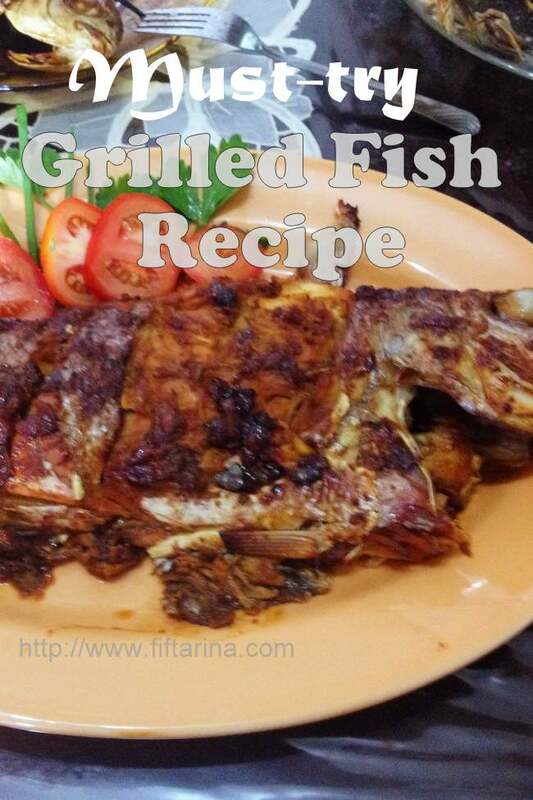 Do try this grilled fish recipe at home and let me know your opinion.